Being able to say you have a car that is still driving after 41 years is a true statement for a car being able to do that. 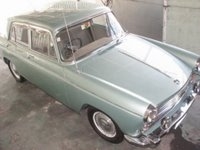 Take for example this classic 1966 Series VI Morris Oxford. This car is currently owned by the Morris brothers David and Dermott, directors of Fag-Mor Agency in Kingston. It was handed down to them by their uncle Mr Headley Nelson,a building contractor who hails form Christiana in Manchester. 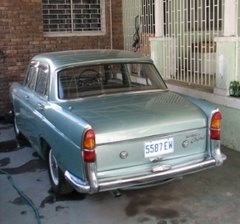 It was a daily driver up until 2004 and when handed to his nephews they drove the car to Kingston. 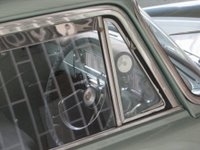 The car was bought in 1969 from Grace Kennedy for 550 pounds. This Series VI is one of 200,000 models that were made between 1961-1971. It has a 4 cylinder 1622cc engine and a power output of 61hp @ 4500rpm and 90 ft-lbs of torque @ 2100rpm. The fuel economy was 33mpg @ 50mph. It came waith no A/C, power steering or power windows. The brakes are 4 drums at each wheel, (no abs) and the rims are 14" & four inches wide. A few came in automatic (I have actually seen one). It had 2 bench seats which can hold 5 persons easily,but they are reports that 15 persons were crammed into one! The car was in the lines of the Wolseley, Riley and the Austin Cambridge. When I was going to school in the 80's the Morris Oxford was used mostly for taxi purposes. The car never really had any major problems; it was sprayed over once in the hands of Mr Nelson but it was carefully brought back to pristine condition by his 2 nephews. I have had the pleasure of driving in one of these cars, but never thought that I would have grown to love them. It doesn't matter what top of the line Japanese or European car you drive,when you see one of these cars in traffic it still get more stares than these new cars. The quality and attention to detail that these cars were made with is a true testimony of the designers of BMC back in the day. Based on a extensive research this Series VI Morris Oxford is worth 2000 pounds today. 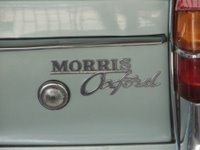 The Morris brothers are truly proud owners of this car, a Morris owned a Morris. So when you see one of these cars go by think again about what a timeless car it is. If you see one of these cars parked somewhere don't crush it restore it, you might be owning a car that is worth a fortune!